Opportunity to purchase commercial materials and souvenirs. 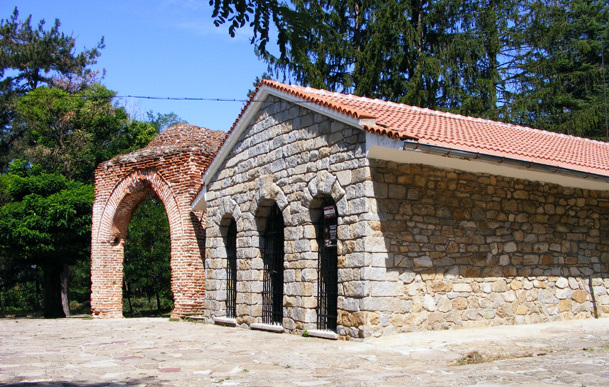 Thracian Tomb of Kazanlak, discovered in 1944, has been among the first Bulgarian monuments on the UNESCO protected World Heritage Site list since 1979. It comprises a passage, a rectangular antechamber and a round burial chamber. The funeral items were plundered in ancient times – just a few finds of gold, silver and pottery have reached us. 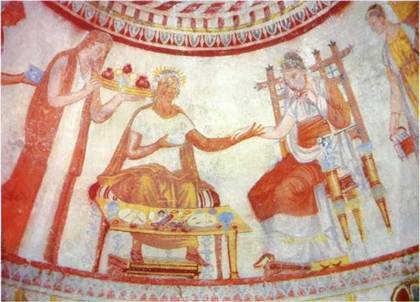 The Tomb owes its world fame to the unique frescos. They were performed by two techniques: wet fresco - in the decorative and figured painting and tempera - in colouring the floor and walls. The four basic colors used are black, red, yellow and white. In the antechamber two friezes depict scenes of fighting warriors. 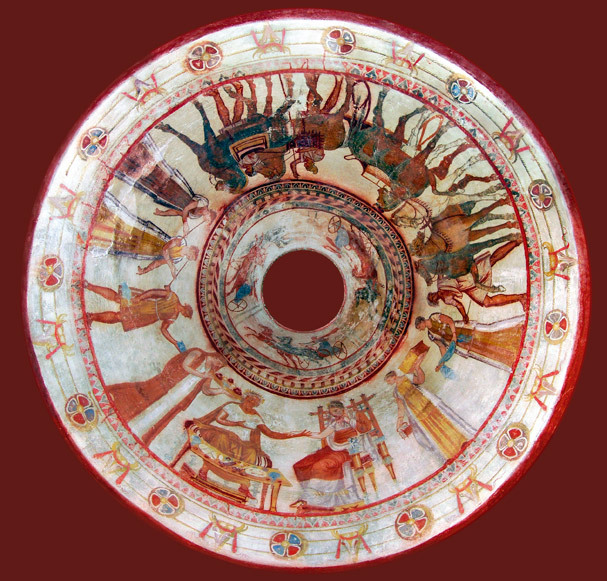 The decoration in the dome premises comprises two friezes - the large one represents a scene of a funeral feast. In the center of the composition is a married couple – the hero-worshiped ruler and his wife, on their both sides joined by a procession of servants carrying gifts, female musicians, a coachman with horses and a charioteer with horses and a chariot. The smaller frieze depicts a chariot race. 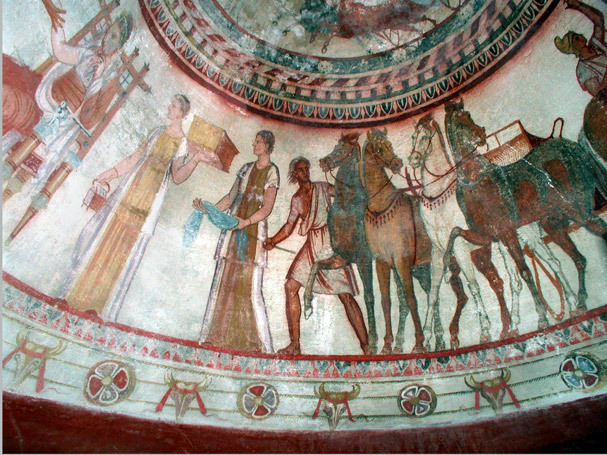 The general concept of architecture and frescos, the artist’s unique style and craftsmanship have transformed the Thracian Tomb of Kazanlak into one of the masterpieces of the Thracian art and ancient cultural heritage.